Tri Loc Axle Cap allows calibrated cam system clearance and minimal friction for maximum performance. 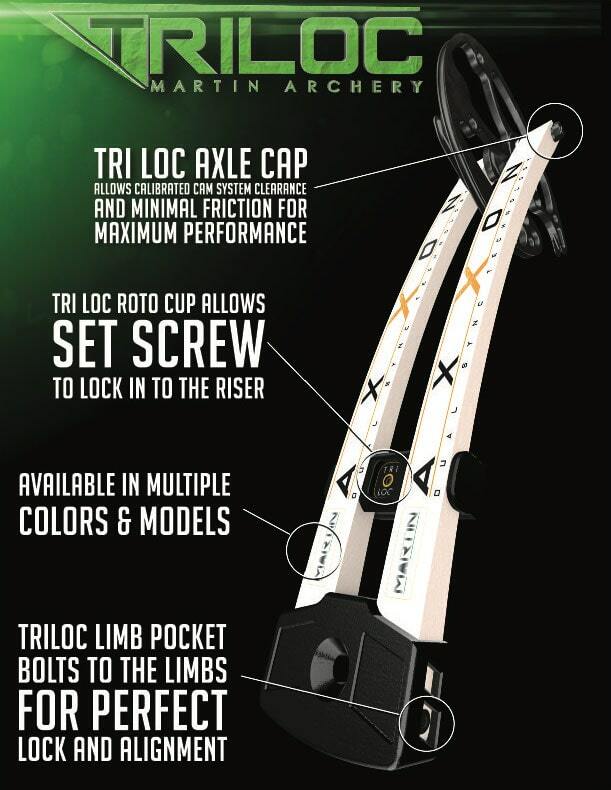 Tri Loc Roto Cup allows set screw to lock into the riser. 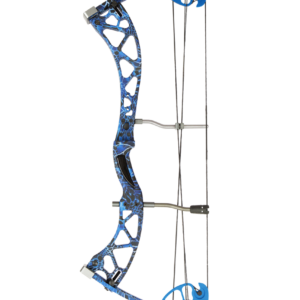 Utilizes Dual Sync Cam Technology with String Stop for fine-tuning to match your individual shooting style & draw length. 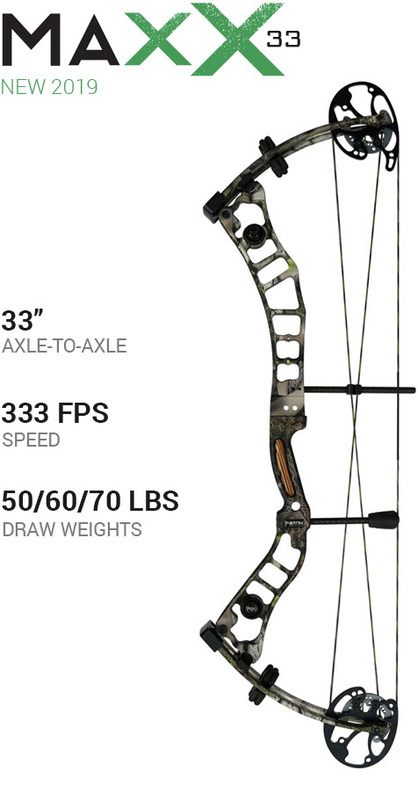 Long Draw & Short Draw Helix Cams allow for 88%+ efficiency at every draw length in a 6″ range. 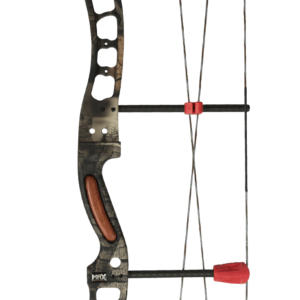 Customized tuning available with the use of RRAD Balanced Bow Technology. 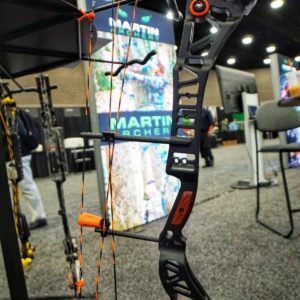 RRAD Weight Distribution System allows the archer to distribute weight individually throughout the riser by using a light or heavyweight adjustable system. 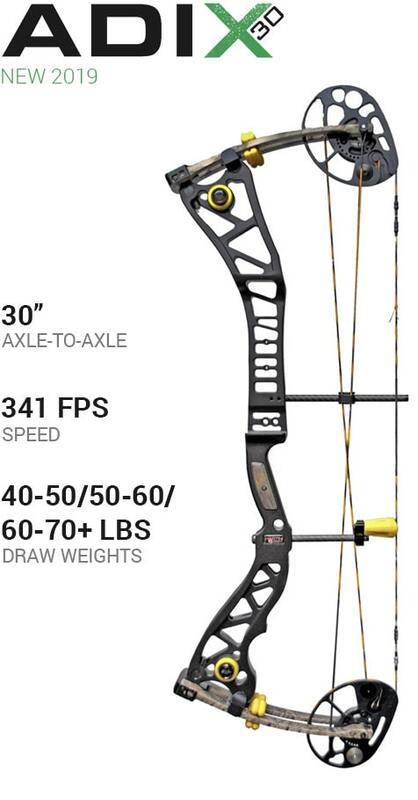 Limb option of 35-50 lbs (adjustable in 5 lb increments) with the Helix Short Draw. 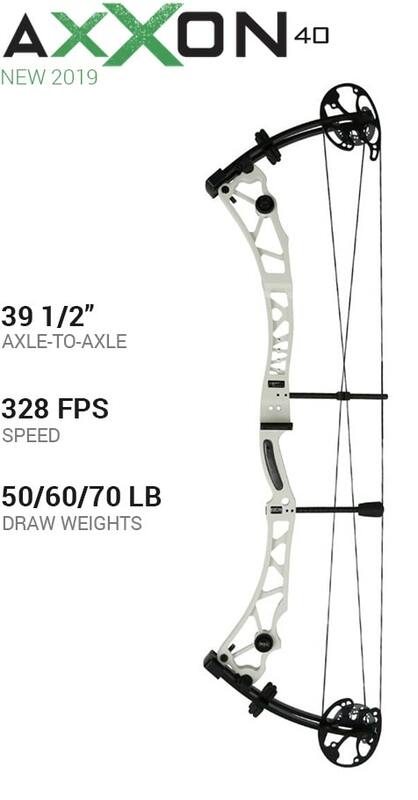 © 2019 martin archery. All rights reserved.